If we said spring was the perfect time to think about Luminettes®, Pirouettes®, and Silhouettes®, we wouldn’t be talking about Ballet Austin’s latest performance. No, we are talking about your spring home makeover! 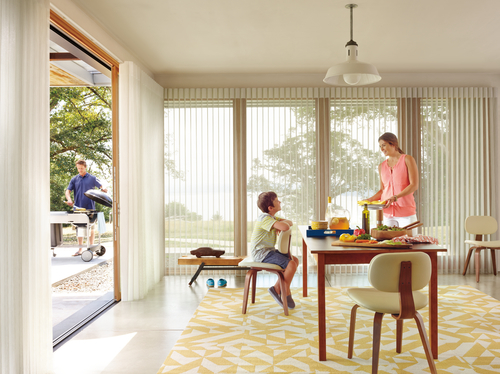 These three options from Hunter Douglas are wonderful choices for any home, especially at this time of year — when you want to let in plenty of that spring/summer light, without warming up your home (and your electricity bill) too much. Keep reading to learn more about why Luminettes®, Pirouettes®, and Silhouettes® from Hunter Douglas are each excellent options for a little spring home makeover, then contact Southern Shutters Shades and Blinds to get a free in-home consultation. Then let the sunlight in! If you would like to cover your wider windows or sliding doors, the Luminette® Privacy Sheers option is best. These shades were built for bigger spaces, and they help you block out what’s going on inside your home without keeping out all the natural light, too. The Luminette® Privacy Sheers come in an array of sheer and drapery-like fabrics to meet your desires as well as your home’s special specific needs. 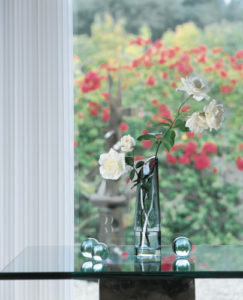 Choose Pirouettes® for a more natural “shade” look. The Hunter Douglas Pirouettes® feature soft fabric vanes attached to a sheer backing, so they look like they are floating when they are open, naturally drawing beautiful sunlight into your room. And when they are closed, they look just like a traditional shade. The Silhouette® option is a subtle-looking horizontal shade that really seems like it is floating between two sheer fabric panels. The Silhouettes® diffuse light beautifully, a highly energy-efficient option that also looks beautiful in your home. To adjust the level of sun that comes in or the amount of privacy you have in your room, simply tilt the shades up or down as you like. Spring is an excellent time to welcome the light into your home — but not all of it. Save money on your electricity bill by choosing energy-efficiency options in shades like the Luminettes®, Pirouettes®, and Silhouettes® from Hunter Douglas. Southern Shutters Shades and Blinds offers free in-home consultations, so don’t hesitate to contact us at one of our three convenient locations to schedule one for your home today! Comments Off on Let the Sunlight In!